When will be Harry Enfield's Brand Spanking New Show next episode air date? Is Harry Enfield's Brand Spanking New Show renewed or cancelled? Where to countdown Harry Enfield's Brand Spanking New Show air dates? Is Harry Enfield's Brand Spanking New Show worth watching? 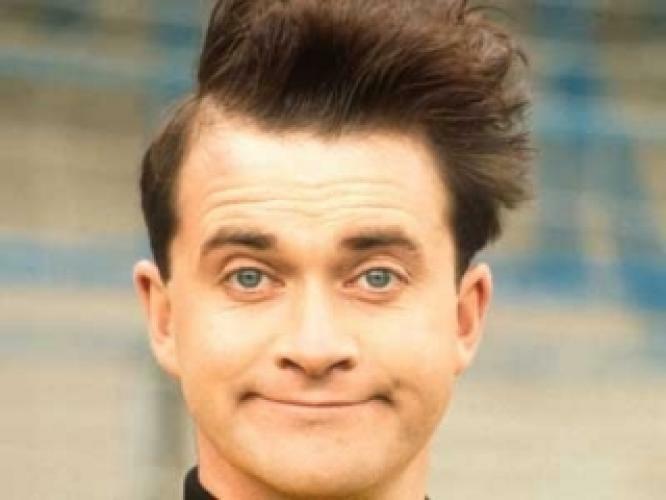 Harry Enfield's Brand Spanking New Show was a comedy sketch series featuring Harry Enfield in a variety of different short sketches with many of his comedy partners including Paul Whitehouse. A follow up to his previous successful Harry Enfield's Television Programme and Harry Enfield & Chums. However, after only one series it was cancelled due to the humour not really working out and some content was deemed offensive and panned by critics, following this, Enfield disaapeared from TV for some time. EpisoDate.com is your TV show guide to Countdown Harry Enfield's Brand Spanking New Show Episode Air Dates and to stay in touch with Harry Enfield's Brand Spanking New Show next episode Air Date and your others favorite TV Shows. Add the shows you like to a "Watchlist" and let the site take it from there.